US News & World Report ranked the Outer Banks, North Carolina #1 in the "Best Family Beach Vacations in the USA” for 2015, highlighting its long stretches of secluded beaches, gorgeous sunsets, available water sports and fishing, great food, and family friendly activities. Along the 200-mile stretch of the Outer Banks, tucked along the northeast coast lies Currituck County, a thriving community that has turned its natural attractions into an economic powerhouse. 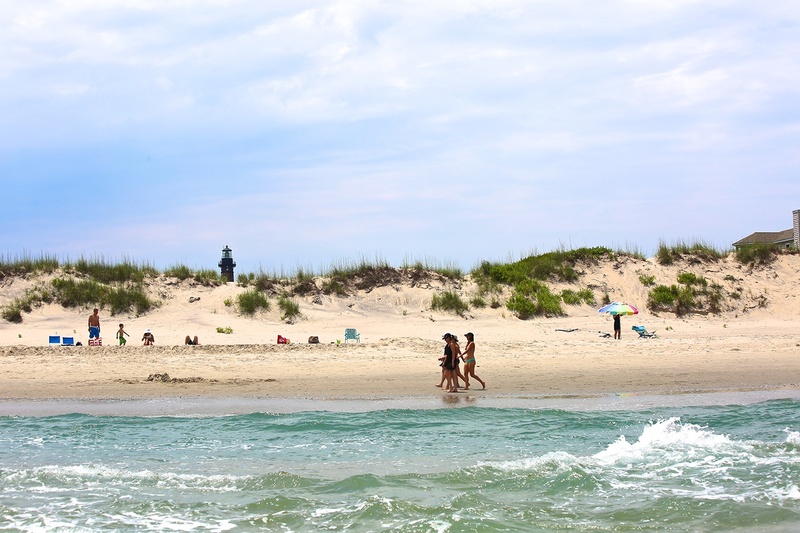 While vacationers to Currituck County will enjoy the relaxing, slower pace of beach life for a week or two, its leaders are far from laid-back beach lovers. Long ago they recognized the economic development opportunities tourists provide the region, and they have made investments to maximize the impact. A seven-mile, $411 million, single span bridge that will link the Outer Banks resort town of Corolla with the mainland, the Mid-Currituck Bridge is expected to relieve highway congestion considerably, saving more than 50 miles on a trip to the seaside’s northern region and cutting travel times in half on a trip from the Hampton Roads region. Construction is set to begin in 2019. Currituck Regional Airport (ONX) is a publicly owned, business and general aviation airport with no landing or overnight ramp fees. Currituck County has invested $15 million in capital projects that will expand its capabilities to help meet increased general aviation demand, including refurbishing its fuel farm, the construction of a new parallel taxiway, $3 million in new ramp improvements, tie-down spaces and for-lease hangar buildings. Working with our neighbors to the north in Virginia, state and federal leaders are discussing the construction of an interstate connecting Raleigh and Norfolk, the two largest cities in the country served by only one interstate (I-40 and I-64, respectively). The new interstate would bring commercial real estate opportunities for communities along the off ramps, including ours in Currituck County. Improvements to the region’s infrastructure will help to ensure more tourists enjoy the pleasures Currituck County has to offer. And while here, we do everything we can to show off the available business opportunities. Sure, we see a lot of tourist-related businesses in retail, hospitality, and recreation cropping up. But we also expect our tourism efforts to seize on our overall untapped potential, encouraging business owners to open a new location right here in paradise. After all, with air, land, rail, and sea transportation easily accessible, business-friendly policies in place, readily available skilled workforce, and a high quality of life, the commercial real estate opportunities in Currituck County are hardly restricted to t-shirt shops and mini golf. Not every community enjoys the world-class beaches, warm weather, cultural activities and natural environment that draws thousands of tourists to their region like Currituck County does. But it’s one thing to be a place people want to go to, and it’s another altogether to have the foresight and planning to maximize the impact. Currituck County has both, and that’s why it’s become one of North Carolina’s preeminent economic development success stories.